And Yet They Deny: So; What Is In The Seasonal Flu Vaccine? The following is a brief breakdown of what each substance can do to the human body. As you will read, the potential side effects and symptoms due to consuming these don't just overlap those of what can be associated to being subjected to the common cold or to the full-blown influenza virus-disease - but rather exceed them and can make for a very discomforting time to one's health, to say the very least. Thimerosal - An organic compound in which half its weight contains mercury. Although mercury is used widely for many products such as thermometers, batteries, paint, pesticides and light bulbs, it's also one of the dangerous metals around. 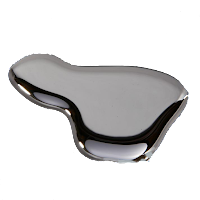 Direct exposure of mercury to humans can be extremely toxic; it can seriously attack the nervous and respiratory systems. Brain damage and neurological disorders such as autism and ADD are often linked to mercury exposure. The Department of Defense classifies mercury as a hazardous material that could cause death if swallowed, inhaled or absorbed through the skin. Where the flu shot is concerned, thimerosal is used as a preservative, allowing other ingredients in the vaccine to "work" and "last" longer, as well as stopping the vaccine from being contaminated. Formaldehyde [formalin] - Is a highly reactive colourless gas in its purest form, but is mixed into various chemical compounds to make for a more stable substance. It is abundant within the atmosphere, but only really activated when combustion occurs - formaldehyde is a major component of smog. Its used widely as a preservative, and can be found in things like glues, antiseptics, resins, paints, film processing, and for embalming purposes.. Formaldehyde is a known carcinogen (a substance that is linked directly to cause cancer), and can cause varying respiratory problems and skin conditions. 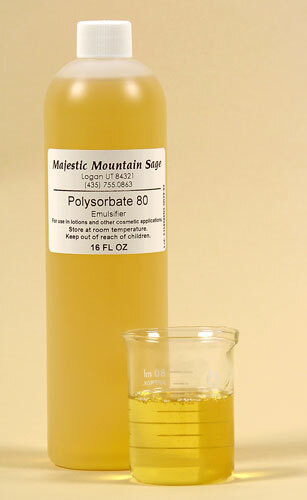 Polysorbate 80 (trade name of Tween™ 80) - is an amber-colored, viscous liquid with a slightly bitter taste. It's a detergent (a cleaning agent) and most commonly used as an emulsifier (a product that holds other products together) and a surfactant (a product that releases the tension of a liquid, allowing it to spread whilst keeping its status as a single whole product). Polysorbate 80 is used in items such as chewing gum, ice cream and other frozen desserts, shower gels/shampoos and liquid soaps. Its used also in many cosmetic creams and lotions. This substance has been linked to reducing fertility, and to dramatically increase the chance of suffering from severe anaphylactic shock. Triton X-100™ - Chemical compound that can be dissolved in water. Like Polysorbate 80, its a detergent. For the flu shot, Triton X-100 acts as an adjuvant; this means that it assists other ingredients in the jab to get the immune system to react to the vaccine - whether the reaction is to improve health or to allow for cell degradation is vigorously debated. Although not confirmed yet to date, it is considered to be a possible carcinogenic substance by the EPA. 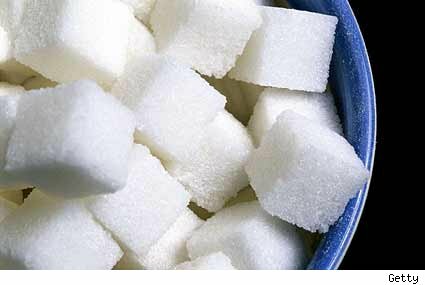 Sucrose (table sugar) - A high intake of sugar can severely slow down the efficiency of the immune system (Sugar has been proven to destroy the germ-killing ability of white blood cells for up to five hours after ingestion). High sugar intake is also related to increasing the chance of getting diabetes, osteoporosis and coronary heart disease - as well as contributing to hyperactivity, anxiety, depression, kidney and liver damage, and high blood pressure/cholesterol levels... amongst other things. Gentamicin (branded as Garamycin™) - Mostly used as an antibiotic to fight bacterial infections and overall hault bacterial growth - It does nothing to fight viral infections... like the flu. Side effects of an intake of gentamicin include nausea, vomiting, stomach upset, or loss of appetite. Side effects of an intake of gentamicin include nausea, vomiting, stomach upset, or loss of appetite. More rare but serious side effects include numbness/tingling, muscle twitching or weakness, or possibly even suffering a seizure. 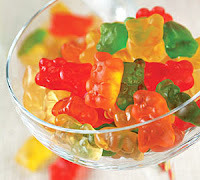 Gelatin - Translucent, colorless, brittle (when dry), nearly tasteless solid. Derived from the skins, connective tissues, or bones of animals, most notably cows and pigs. Gelatin is a popular emulsifier within the food industry; as its very good at distributing fats. It can also be easily coloured, is can be found in many sweets and confectioneries. Allergic reactions can occur as a result of of gelatin intake. Anaphylactic shock is also linked to gelatin consumption. 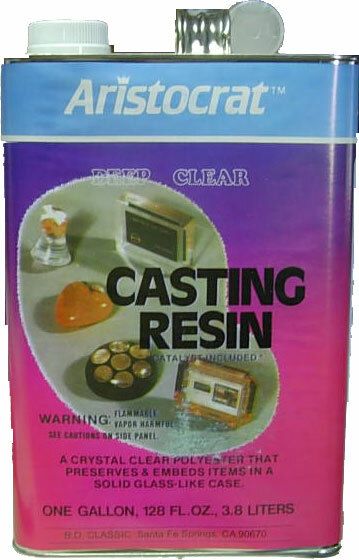 Resin - viscous compound that can be hardened when treated upon. 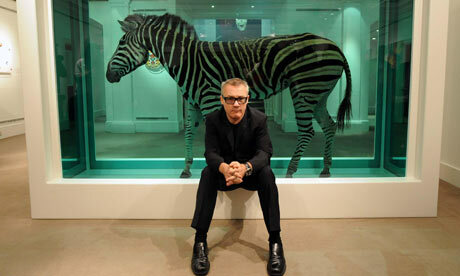 Plants naturally make it; but the more stable man-made synthetic resins are more popularly used. Resins are used in all sorts of products but most commonly within the arts and crafts/ hardware industries; including things like varnishes and lacquers. Allergic reactions can be attained as a result of coming into contact with a resin-based substance.